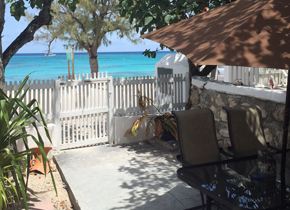 Soak up the breeze and local vibes from the comfort of your very own private front patio overlooking the sea. 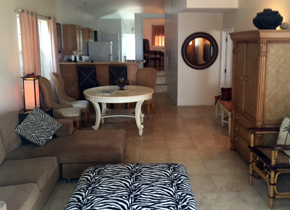 This open floor plan allows your party to be together whether you're relaxing on the couch, eating at the full size kitchen table, drinking at the side bar, or cooking an island feast. 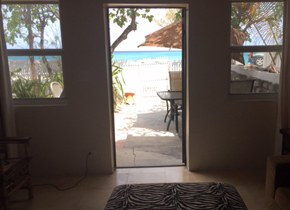 No need to go outside your living room to enjoy the beauty of the ocean. The North Bungalow allows the outside to come in with this breezy and open design. 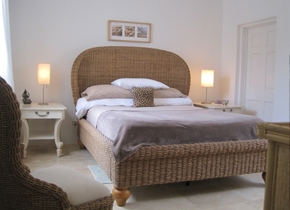 Sleep like a king in this luxurious master suite equipped with an ensuite bathroom and view of the sea. 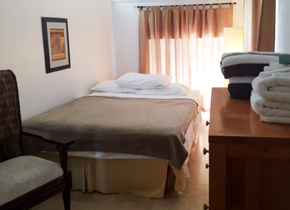 In this second bedroom of the North Bungalow, enjoy comfortable Queen accommodations. 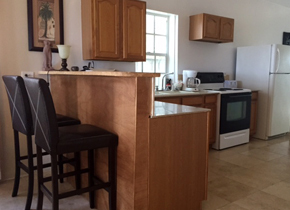 With plenty of room for cooking and entertaining, this kitchen is fully equipped to prepare an entire meal or just enjoy drinks and light hors d'oeuvres.